For the majority of people your home is your biggest material asset, and the roof is an essential feature on which the wellbeing (as well as the curb appeal) of the rest of your home depends enormously. For your home’s ultimate wellbeing and for your security and peace of mind, look no further than the top roofing companies in London Ontario to help you maintain your roof year round, as well as to repair small issues before they become large. If you are a local of the London, Ontario region, you’ll understand what we mean when we say that our weather can be harsh. This can even be an understatement at times! 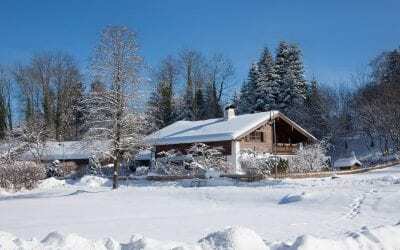 From our hot and humid summer conditions to our freezing, snowy and icy winters, the weather doesn’t just take its toll on your lifestyle; it also has a direct impact on your home – and in particular on your roof. A poorly maintained roof can present an array of problems for homeowners, from leaking during rain and growth of mould due to moisture, to poor ventilation, and even collapse of your roof or ceiling during heavy snowfall or blizzard conditions. A flawed or faulty roof can even impact negatively on your doors, windows, landscaping, and foundations. 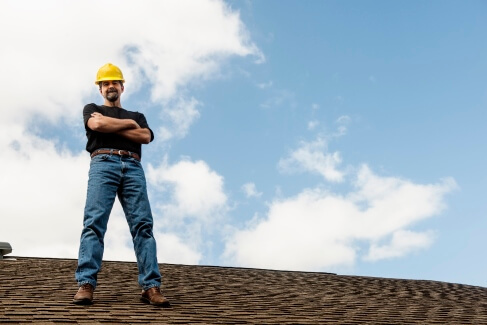 Roofing companies in London and the St. Thomas area are here to help mitigate the various risks to your home and to your wallet when it comes to your rooftop. And Roofing London is the very best of these companies. We provide the most reliable and cost effective services for roofing in the London Ontario area, and over many years we have built a wide clientele of home and business owners who trust our expertise and experience when it comes to protecting their rooftops. We also work with investors and have experience and expertise in all issues affecting commercial and industrial roofing. There are a number of distinct benefits for you when you choose Roofing London ON for your rooftop repairs and maintenance. What can you expect from us? We offer a wide range of services including roof repairs and replacement, attic ventilation, gutter cleaning and repair, leaf protection, skylights, doors and windows, and soffits and fascia services. We are highly dependable and reliable, and we work in your best interests throughout our entire process. We assess your rooftop in depth, identify issues both large and small, and we provide detailed and accurate estimates of exactly what your roof needs right now. If it needs replacement now, we’ll say so. If your roof will last for a few more years before replacement is required, we’ll let you know your options. If you simply need small repairs or regular maintenance, we’ll advise you of what needs to be done and how often. We will also provide guidance on the best type of roof to suit your individual circumstances. Our workmanship is completely guaranteed, alongside material warranties for the tiles, shingles, gutters, and any other material we use. We protect your property while we work, and clean up completely after we are done with the job. The safety of you, your family, your pets, your property and our roofers is always our top priority. Finally, as a local roofing London company, we are just a phone call away for follow up and any further issues you may have. 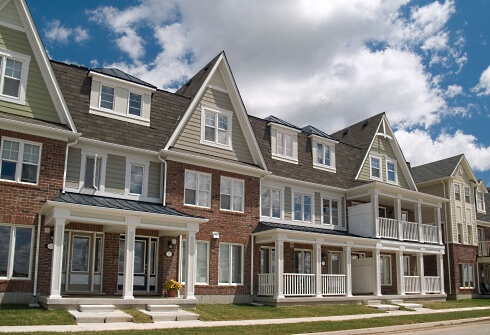 Roofing London (Ontario) has proudly served the local London and St Thomas community for many, many years. We provide the highest quality roofing services and are among the leading roofing companies in the area. 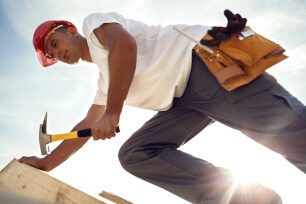 Our staff are professional roofing experts who have the training and commitment to quality and safety to provide a reliable service each and every time. We embrace challenges and no job is too large or too small. We also use a range of the highest quality roofing products so that you are left with an end result that you will love and your neighbours will envy! Providing customer service that is unparalleled is our primary commitment to you – and this is one of the ways in which we stand out from all of the other roofing companies in London Ontario. From first consultation through roof inspection, repair, replacement or maintenance and to follow up, we stand by this commitment. While other roofing companies in London may make promises, we deliver on our promises every single time. Many of our clients are long term repeat customers, and we have a very high referral rate from family, friends, and work colleagues, which we value enormously. Correct and appropriate rooftop installation is crucial wherever you are – but even more so in a climate like we have in London ON. For a free quote contact us today – and know that your rooftop is in the best hands. I’m ready for my free quote! "You cannot go wrong with this team." | "They took the time to establish a customer relationship with us." | "We are thrilled with the results!" If we can see that your roof can last several more years, we’ll let you know rather than write a bid for work you don’t yet need. We’ll only bid when your roof truly needs repairs or replacement. Roof replacements comprise a lot of moving parts. Our estimates and contract proposals cover the details of the work to be done. You should know what to expect, and we should know what to deliver. Your top-quality materials will have excellent manufacturer’s warranties, and we guarantee our workmanship on top of them. Also, unlike traveling roofers, we’ll be here to take your call if any part of your new roof experiences problems. Roof replacements create quite a bit of heavy debris. We’ll protect your property before we start the project. At the completion of the work, our crew will pick up all left over debris and drag the area with powerful magnets to find and remove loose nails. The eavestroughs and downspouts will be left clean and free-flowing. In many cases, our customer’s properties end up tidier than before. We also repair leaks and other issues that crop up on roofs. Our experience means no part of your roof is a mystery to us. We can accurately identify leaks and make the necessary repairs. We hope that once you’ve experienced our exceptional service, you’ll be happy to refer us to your circle of friends and family. A roof you can be proud of. 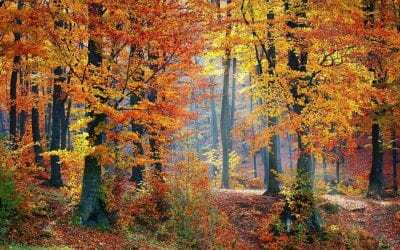 To get your free estimate contact us today! 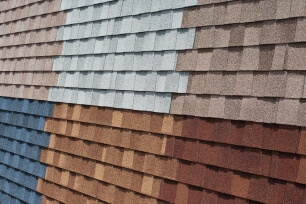 Quality roofing products for a long lasting finish. 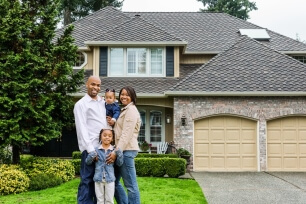 A new roof not only protects the interior of your home, it enhances its curb appeal. We love working with homeowners on all roof projects both large and small. From your house to your gazebo, tool shed or dog house, we do them all. 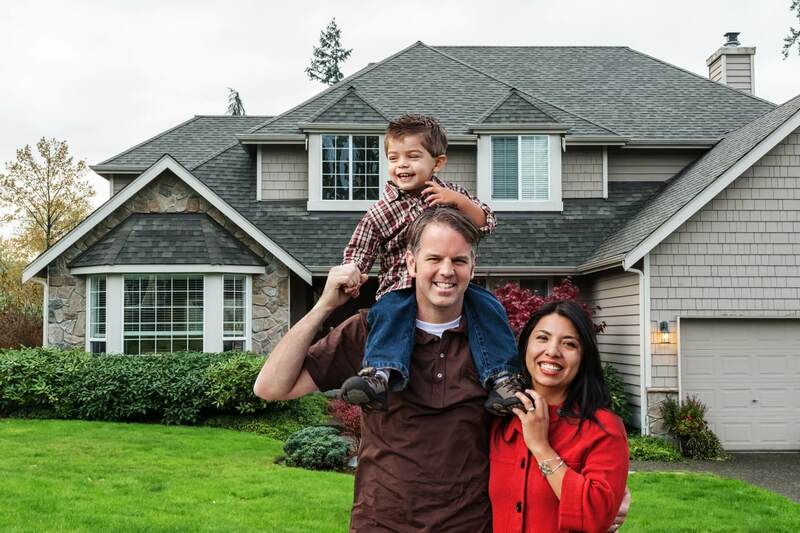 As a construction project, we know that replacing your roof will temporarily disrupt your family’s life. We make every effort to work quickly and efficiently to minimize the amount of time we unsettle your daily routine. Weather permitting, we will start your project on schedule and work in a tidy manner, cleaning around the property each day we’re in progress. We can help you determine if your attic requires better ventilation to prevent excess heat in the summer, which blisters shingles, and helps lower the odds of ice damming in the winter. With a large selection of roofing materials, we can install beautiful new roofs for every budget. Whether you need a new roof, repairs, windows or doors, contact us today for your free consultation and estimate. Ready to GET YOUR FREE QUOTE or LEARN MORE? We provide new roofing systems and repairs on apartment complexes, office buildings and large, multi-family townhome/condo complexes. 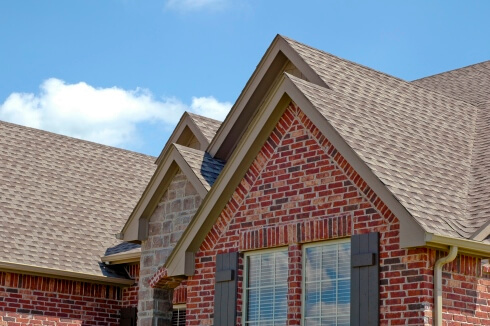 Your tenants and individual homeowners demand attractive roofs that function perfectly. Whether you own or manage commercial properties, you want to be sure your clients and investments remain protected with well-built roofs and quality materials. Many commercial roofing companies are here today and gone tomorrow, leaving you in the lurch when problems crop up. Often, they buy the cheapest materials available to bump up profits. Not us. Like you and your properties, we live in the London and St. Thomas area. We’ll be here to service our roofs throughout the warranty period. Plus, we’ll remain on hand as the roof ages and when it may need damage repairs. Contact us today to start your commercial re-roof project with an honest assessment and estimate. To read the full testimonials, click here! 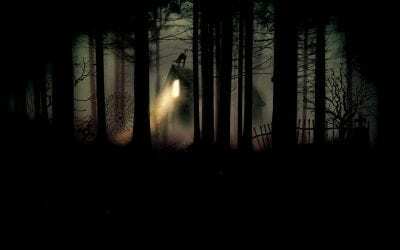 What is your address or suburb?